Things are bigger in … Orlando? 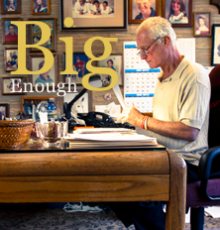 We know UCF is big, but were you aware of these fun “big” facts? Special Collections and University Archives Senior Archivists Burak Ogreten and Sandra Varry display a Spanish antiphonary, for a choir of the Divine Office of the Catholic Church, dating ca. 1520-1560. The antiphonary includes Latin chant notation on red staves, decorated capitals in red and blue ink, and strapwork capitals in black ink with yellow wash. Its wood binding is covered in cowhide with brass corners and inset studs. This beautiful manuscript was acquired in 2010 as a gift from Sylvia Semel of Maitland, Fla. There are 42 large mounted or inlaid UCF logos across the Orlando campus, but at 18 feet in diameter, the UCF seal in the Student Union is the biggest. It is also the object of a cherished superstition: It is said that any student who walks across it will not graduate. 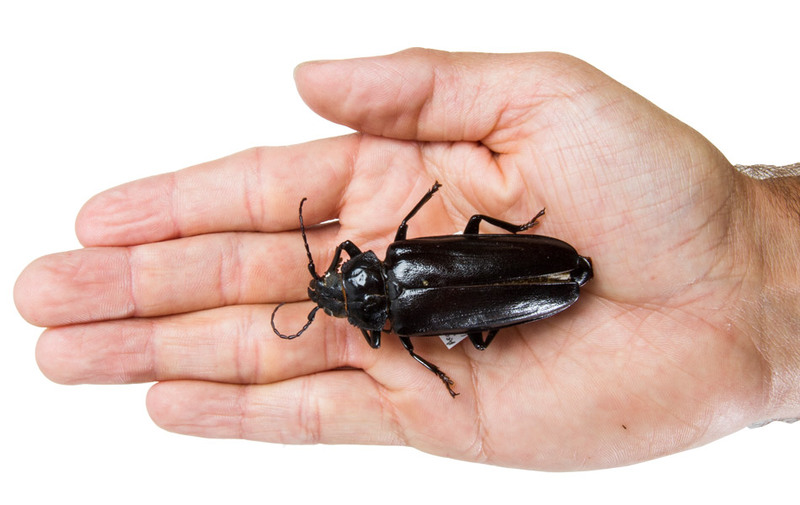 Collection Manager Shawn Kelly holds a Goliath beetle (Goliathus goliatus) from equatorial Africa. 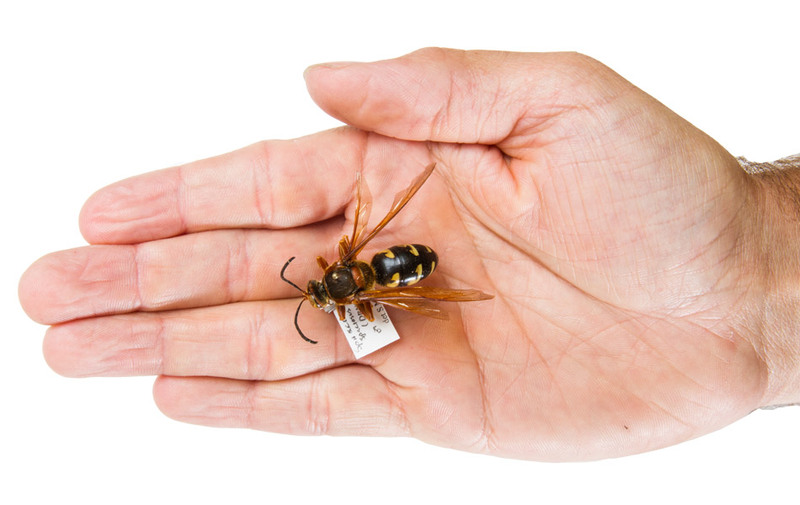 Considered the world’s heaviest insect, it is part of UCF’s Stuart M. Fullerton Collection of Arthropods, which contains specimens from around the globe. The collection is best known, however, as the largest insect collection in the world focusing specifically on Central Florida. 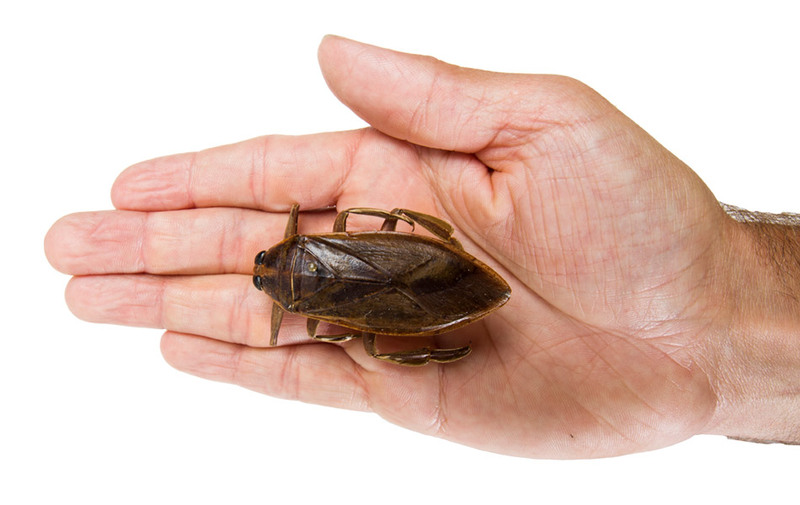 Says Curator Dr. Hojun Song, “Central Florida is a biogeographically interesting area and a global hot spot for biodiversity, all of which make our insect collection big.” Click on the arrows below to see more big bugs. 1. 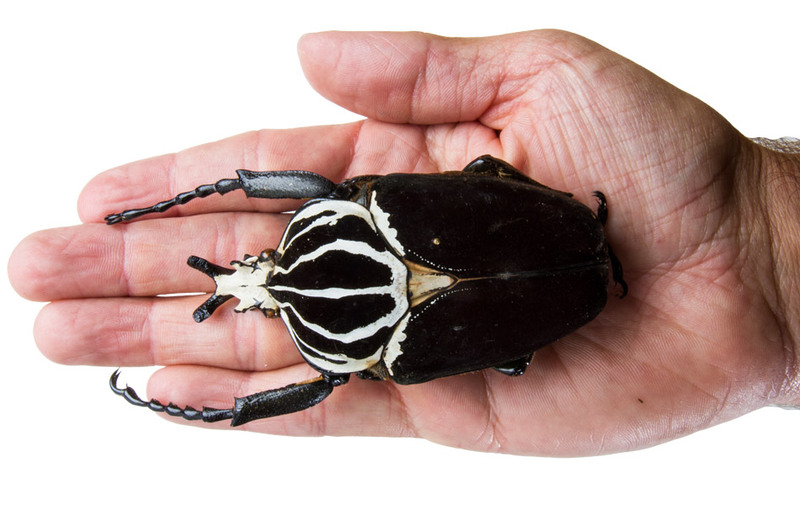 Goliath Beetle, Goliathus goliatus, from equatorial Africa, considered the world’s heaviest insect. 2. 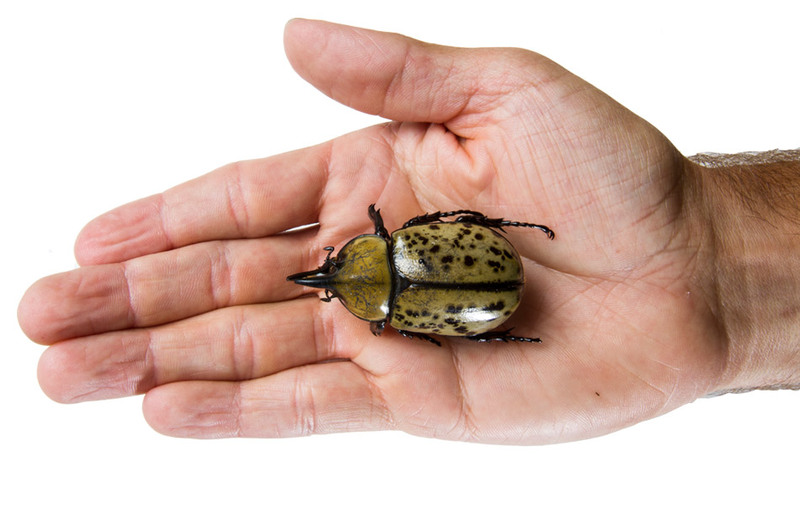 Eastern Hercules Beetle, Dynastes titus, from Eastern U.S., inclulding Central Florida, related to the Goliath Beetle, considered the heaviest insect in North America; larvae live in stumps and logs, adults feed on fruit and sap. 3. Live Oak Root-borer, Archodontes melanopus, from Southeastern U.S., including Central Florida; larvae develop on the roots of oaks. 4. Eastern Cicada Killer, Sphecius spheciosus, from Eastern North America, including Central Florida; larvae live in tunnels dug in the sand, feed on paralyzed cicadas brought to them by mother. 5. 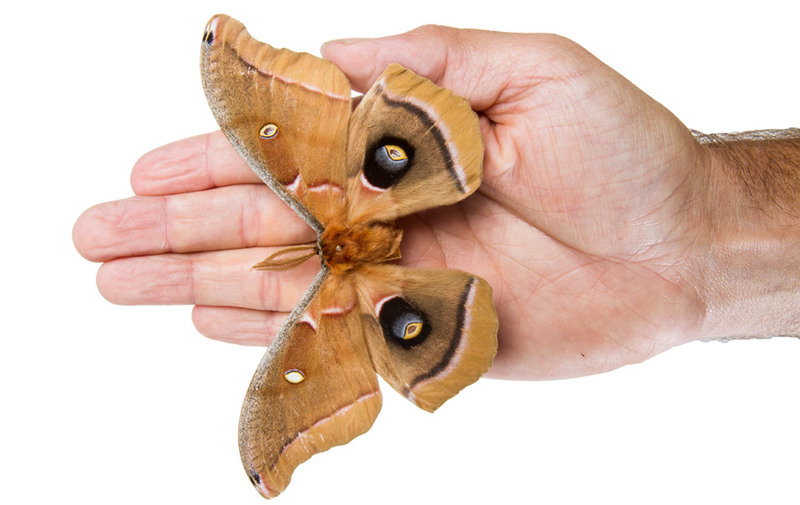 Polyphemus Moth , Antheraea polyphemus, found throughout North America, including Central Florida; larvae feed on a variety of trees and shrubs, adults do not eat. 6. Eastern Toe-biter, Lethocerus griseus, from Eastern North America, including Central Florida; live in ponds and other still water bodies; named for their painful bite; predacious on any animal they can grab and disable with enzymes injected from piercing-sucking mouth-parts, including fish, frogs, and small birds; also called Electric-light Bugs because attracted to lights at night. 7. 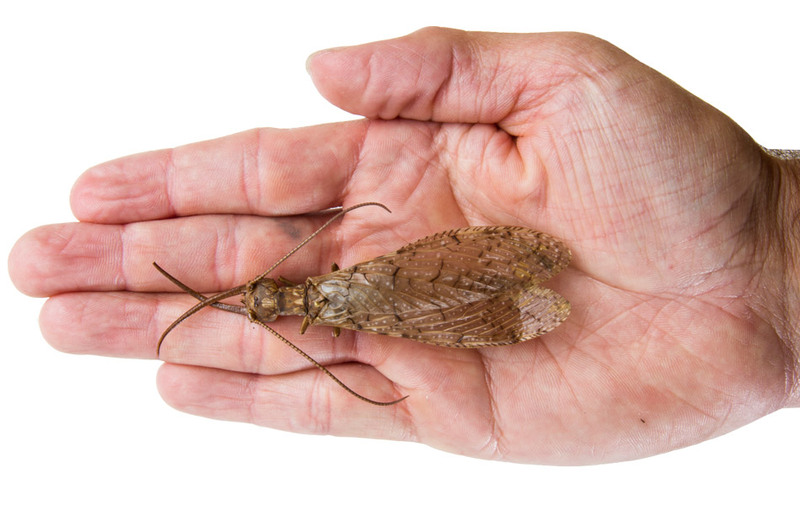 Eastern Dobsonfly, Corydalus cornutus, from Eastern North America, including Central Florida; larvae live in fast-flowing streams and are predacious; adult males have huge mandibles used to grasp female while mating. Equipment manager John Whitford is in his ninth season with UCF Athletics. He is responsible for six Knights teams, including volleyball, basketball and soccer. The equipment room has more than 50,000 items inventoried. Whitford holds the jersey of former basketball center Jakub Kusmieruk. Rosen College of Hospitality Management Chef Instructor Jay Judy presents a magnum of Beaujolais nouveau from the Anheuser-Busch Beer and Wine Lab. 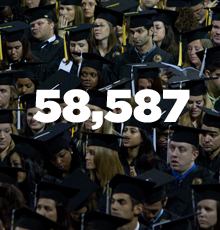 UCF’s College of Education has produced 21,298 teachers who, in turn, have taught approximately 3,371,815 students (using average class size of 15.6, and average career of 13.5 years). Last football season, visitors to Bright House Networks Stadium consumed 4,530 nachos, 7,953 hot dogs, 11,233 pretzels and a whopping 6,136 gallons of soda.